Crime Scenes: Modern Crime Fiction in an International Context. 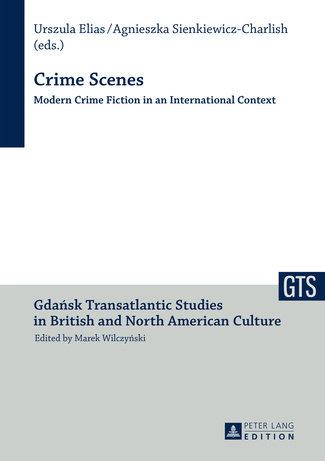 Crime Scenes: Modern Crime Fiction in an International Context examines the ways in which crime fiction has developed over several decades and in several national literary traditions. The volume covers a wide spectrum of current interests and topical concerns in the field of crime fiction studies. It introduces twenty-four original essays by an international group of scholars divided among three main sections: «Genres», «Authors and Texts» and «Topics». Issues discussed include genre syncretism, intertextuality, sexuality and gender, nationhood and globalization, postcolonial literature and ethical aspects of crime fiction. Categories: News, Publications | Tags: Agnieszka Sienkiewicz-Charlish, Crime Fiction, Crime Scenes, David Malcolm, Detective Fiction, Monika Szuba | Permalink.